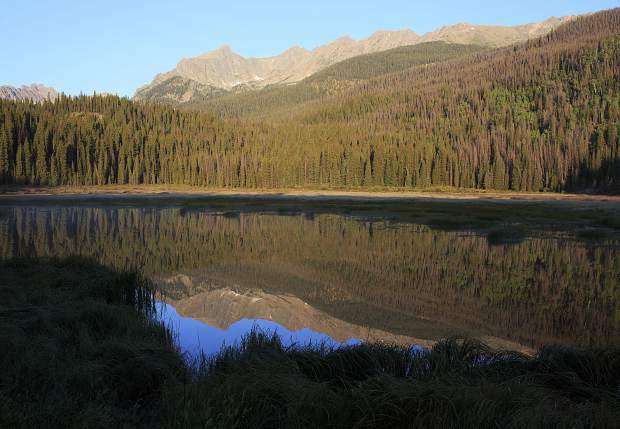 The view of the Gore Range mountains from Boulder Lake in the Eagles Nest Wilderness near Silverthorne. 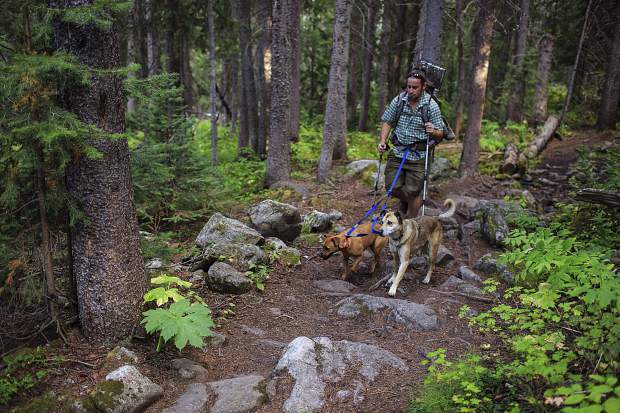 Silverthorne resident Jon Kessel hikes with his dogs, Capri and Yolo, on the Gore Range Trail in the Eagles Nest Wilderness near Silverthorne on Friday, Sept. 1. 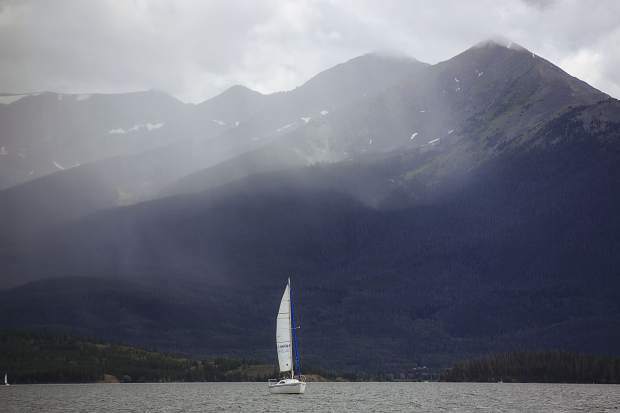 A sailboat in front of the Tenmile Range in Dillon on Wednesday, July 26. The view of the Gore Range from Ute Pass north of Silverthorne. 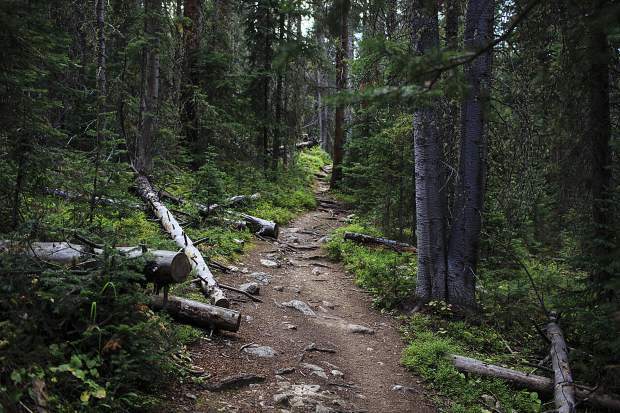 The Gore Range Trail in Eagles Nest Wilderness near Silverthorne. Trees near Boulder Lake in the Eagles Nest Wilderness near Silverthorne. 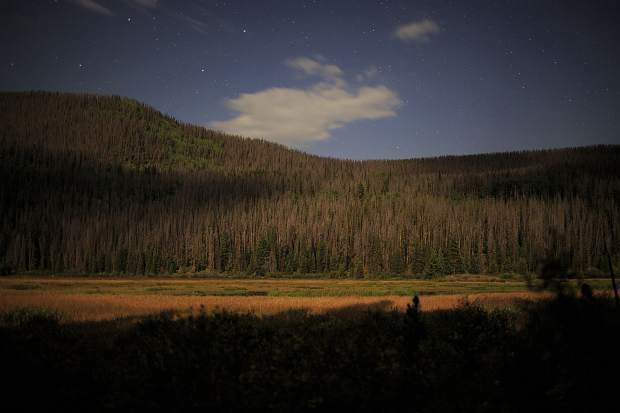 Coming out of U.S. Congress’s August recess, Rep. Jared Polis, who represents Colorado’s 2nd District, is closing in on plans to reintroduce a piece of wilderness preservation legislation straddling the White River National Forest that has far-reaching implications. 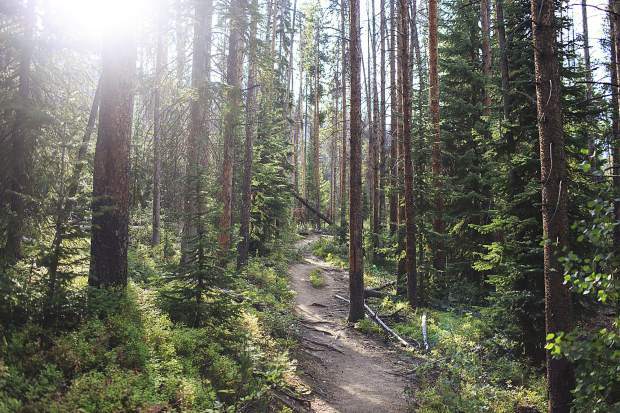 Now eight years in the making, the updated Continental Divide Wilderness and Recreation Act would safeguard more than 92,000 acres of land stretching from Summit to Eagle counties as a follow-up on its predecessor that imagined similar designations for about 58,000 acres. The bill was last pitched in May 2015 and Polis believes its adoption is more critical than ever before. 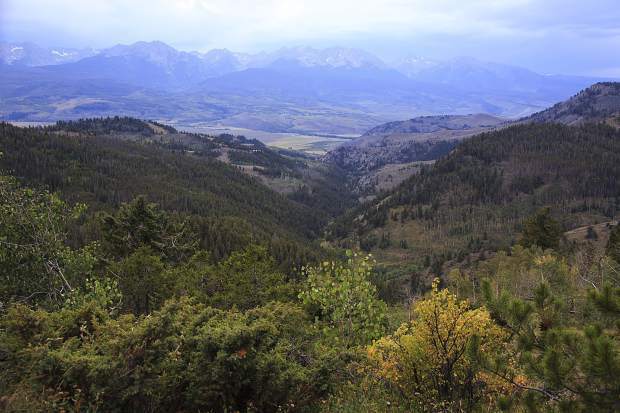 If accepted, the law would add wilderness and/or recreation protections to a number of locations, among them the Williams Fork Mountains, Tenmile Range, Hoosier Ridge, Ute Pass and Porcupine Gulch. 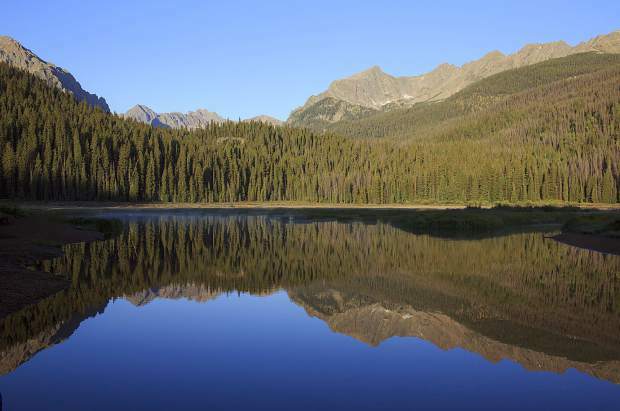 Areas in Eagle that would also receive the special-management classification include Spraddle Creek and Freeman Creek in the Eagles Nest Wilderness, as well as No Name joining the existing Holy Cross Wilderness Area. Perhaps the biggest change to the forthcoming proposal is the addition of Camp Hale, the U.S. Army 10th Mountain Division’s former training grounds, for consideration as the country’s first-ever National Historic Landscape. 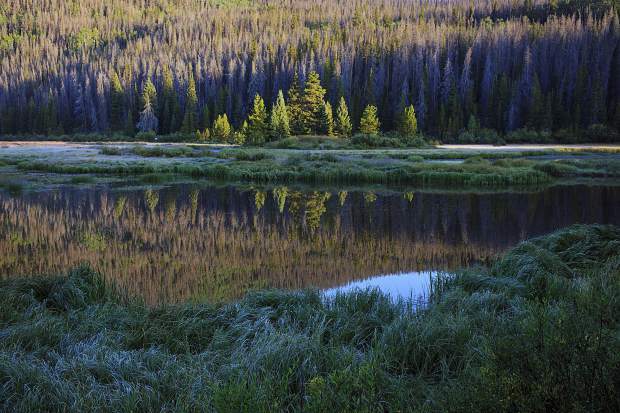 The site between the city of Leadville and town of Red Cliff presently holds a National Registry of Historic Places listing, but the new label would provide for heightened preservation and restoration practices, prolong current recreational activities there including snowmobiling, and offer improved conservation and management direction to maintain its picturesque scenery. Securing a couple key wildlife habitat areas is also a big part of the act. From several conversations with Colorado Parks and Wildlife following the last version of the bill, the territories for both Williams Fork, north of Silverthorne, and Porcupine Gulch, near Eisenhower-Johnson Memorial Tunnels along Interstate 70, have both been amended slightly to better shield those conservation zones. During a May presentation to the Summit Board of County Commissioners, Miller — whose land conservation nonprofit helped draft the latest edition of the bill — noted the Williams Fork area is the southeastern-most range of the greater sage-grouse. A redesigned boundary allows all parties, including CPW and the U.S. Forest Service, to continue managing the location for sustained recreational uses and wildlife conservation. Aside from the bill’s set of enhancements based on a number of regional stakeholder suggestions, this time around the five-term congressman — and candidate for Colorado governor — has a new ally in the fight in fellow federal lawmaker Sen. Michael Bennet. The two Colorado Democrats intend to set forth companion legislation in their respective chambers to strengthen its chances of passage. The collaborative approach allowed Polis and company to focus on the adjustments to some of the area boundaries in the prior pitch, while Bennet’s team has concentrated its efforts on the inclusion of Camp Hale. That site alone adds roughly 25,000 more acres in protections to the previous bill. Supporters of the proposed law submit its broad-based local consent as a central reason for why it should be approved. 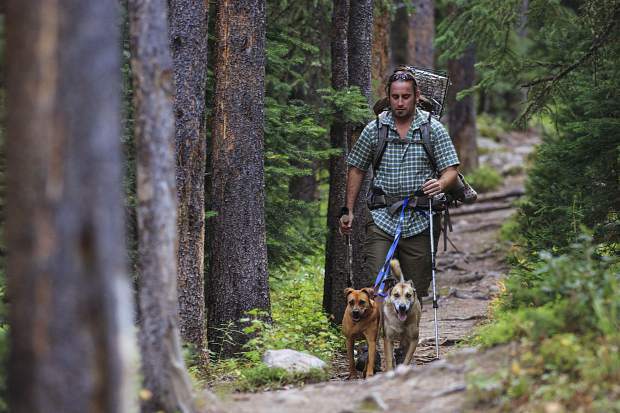 The list of endorsements spans more than 130 organizations and businesses, from Summit and Eagle county governments and the towns of Vail and Breckenridge to Vail Resorts, Xcel Energy and a number of wildlife and outdoor recreation groups. At the moment no exact timeline for formal introduction is set, but the hope is to push the bill through the active 115th U.S. Congress. And it’s that level of regional backing that makes sponsors optimistic 2017 will finally be the year where the legislation gets passed.